The World Rugby Administrators Academy is a partnership between World Rugby (formerly the International Rugby Board) and the World Academy of Sport, established in 2008 to deliver world-class academic programmes that are in touch with industry trends and developments, for administrators and event organisers within the global rugby community. Through the World Rugby Administrators Academy, current and potential leaders within the business of rugby have also benefitted from attending our intensive residential executive education programmes that cover topics such as: High Performance Pathways, International Event Management and Sports Federation Management. Modules from our executive series have also been tailored and delivered successfully as bespoke education programmes for World Rugby's member Unions. In 2011 and 2012 a specific programme was organised by the World Rugby Administrators Academy to support Unions in the development of High Performance Pathway plans for Women's Rugby Sevens, drawing on the opportunity presented by the inclusion of the sport in the Olympic Games. 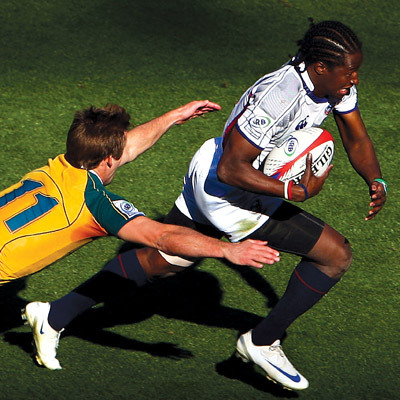 The Postgraduate Certificate in Sport Management, delivered in partnership with the Royal Holloway, University of London (RHUL) is also available for students looking to establish or further their career in rugby administration. The partnership and ongoing dialogue between the World Academy of Sport and World Rugby has supported both strategically and practically our work with other Sport Partners, most notably the IPC Academy, through the implementation of an international Train the Trainer methodology to ensure standardised levels of competence amongst classifiers, technical officials and coaches.